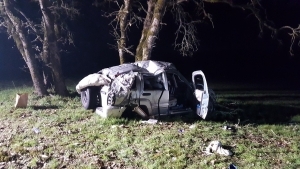 MARION COUNTY, Oregon — On Thursday, March 21, 2019 at approximately 6:21 P.M. Oregon State Police Troopers located a vehicle reported stolen from Eugene on Interstate 5 in the Albany area. The vehicle and the occupants were also of interest in multiple armed robberies in the Eugene area. 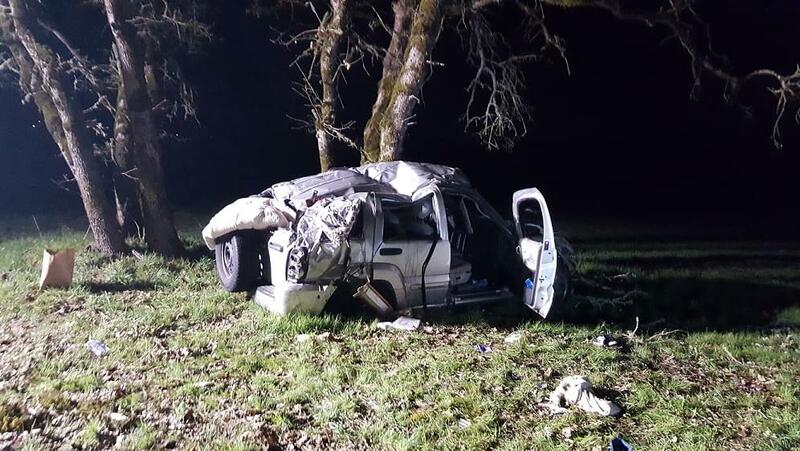 The single vehicle crash is being investigated by Marion County Sheriff’s Office with a crash reconstruction team made up of OSP, Marion County S.O. and Keizer Police Department.